Kick start your day by rediscovering this master of colour and composition. 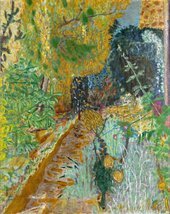 Born in 1867, Pierre Bonnard was, with Henri Matisse, one of the greatest colourists of the early 20th century. He preferred to work from memory, imaginatively capturing the spirit of a moment and expressing it through his unique handling of colour and innovative sense of composition. 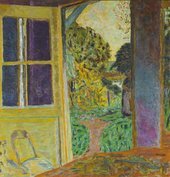 This is the first major exhibition of Pierre Bonnard's work since the much-loved show at Tate 20 years ago. As a Member, you can enjoy the exhibition fuss-free away from the crowds. The Members Bar on Level 5 of the Natalie Bell Building will be open from 9.00 during your Members Hours.